Recorded in: Stereo Length: 1 Hours 14 Mins. Música Callada (Music of Silence) is a very special work, one of the most beautiful and elusive in the entire piano repertoire. It is extremely difficult to perform. On the one hand, there's the temptation to stretch each piece out hypnotically, if monotonously, while quicker speeds preserve the music's melodic essence at the expense of much of its atmosphere and harmonic richness. For although much of the music is indeed quiet, and none of it moves quickly, it is all meaningful. 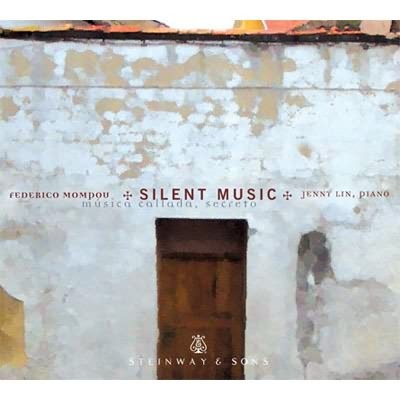 Mompou himself found the perfect balance between incident and repose, and of all the pianists since, Jenny Lin arguably comes closest to doing the same, only in much better sound. It's not so much that Read more her tempos match Mompou's own (she's actually not copying him--it would hardly be possible in a work containing 28 individual pieces), but rather that her phrasing and sense of timing let the music breathe and sing with its own special poetry. To take just one example, consider the sadness that Lin finds in the fourth piece, "Afflitto e penoso", by allowing the piece's harmonic color time to speak simply and eloquently. Another secret of her success is the splendid equilibrium between left and right hands. The treble gleams, bell-like, while the sonorous bass lines carry the music right through the many pauses, aided in no small degree by discretely timed use of the pedals. "Secreto", from the early Impresiones intimas, makes the perfect encore and rounds out the program in a most satisfying way. If Música Callada represents Mompou's masterpiece, then this beautifully engineered disc must be its finest modern recording. It deserves a home in every serious piano music collection. Period: 20th Century Written: 1959-1967 Spain Date of Recording: 02/2009 Venue: Recital Hall at SUNY, Purchase Length: 70 Minutes 0 Secs. Period: 20th Century Written: 1911-1914 Paris, France Date of Recording: 01/28/2011 Venue: Patrych Sound Studios, New York City Length: 3 Minutes 18 Secs.